I am 3 months through the challenge (that means I have only 9 months to go before I reach 51!) and I thought I would write a quick update on what I have achieved. My 50 things to do in my 50th year page has been updated – I have highlighted all that is done – in my favourite colour – purple and all that I have started or are ongoing are highlighted in orange. 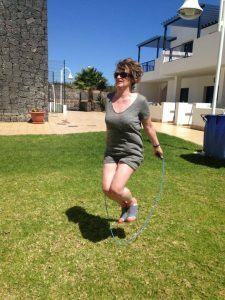 Challenge No 1 – Learn how to skip – harder than I remember! I was allowed a tick when I managed 5 skips. 2 weeks after this I did 10 but by July I managed 19. Skipping is very good for you so I will try to continue this. 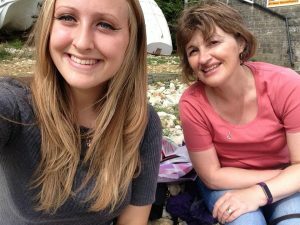 Challenge No 23 – Day trip with your daughter this summer – a lovely day out to the Isle of Wight. Challenge No 25 – Change your running route one day – a lovely run to the beach and beyond. I love running to the beach now. It does give a bit of purpose to the run. I realised by doing this that my usual run of running “round the block” of the estate I live in is like my security blanket. I knew that home wasn’t far away and that is why I stuck to it. 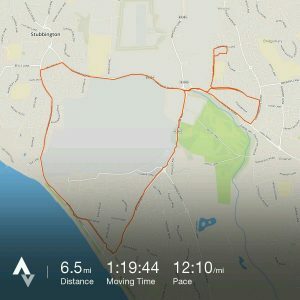 Since I completed, I have changed my run a few times to include some hills in too! 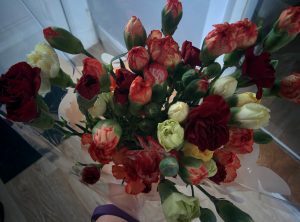 Challenge No 27 – Buy yourself some flowers. A very pretty challenge and one I have continued and even managed to bribe my son into buying me some by picking him up so he didn’t have to pay out for a taxi! Even got him to wash the car so not bad at all. 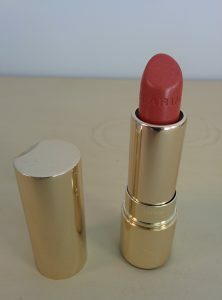 Challenge No 37 – Buy a new lipstick – loved this challenge and even wearing it into work now. 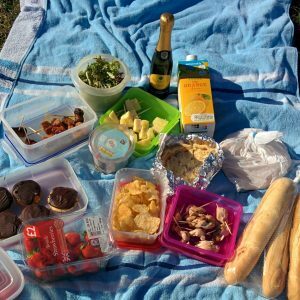 Challenge No 40 – On a perfect summer’s day, make a picnic and eat it down the beach with your daughter. This was so enjoyable. I loved making the food and even made jaffa cakes – which I hadn’t realised were the Great British Bake Off’s challenge. That in turn has lead me to try some of the other challenges. Will share later. 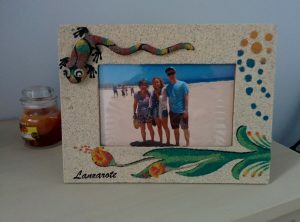 Challenge No 46 – In Lanzarote, buy a “Lanzarote” frame and at home print and put picture of you, your son and your daughter in it – I can look at this and remember our lovely holiday. 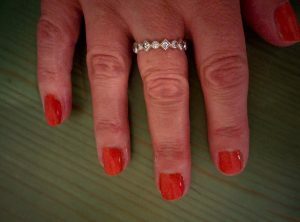 Challenge No 47 – Buy and use a nail varnish colour you wouldn’t normally – bright orange it was! Challenge No 5 – Read a book every month of a genre you don’t/don’t often read – I have read three different books so far. Looking forward to choosing 9 different reads. Challenge No 6 – Read your daughter’s 10 favourite books – in paperback. Why don’t the young get down with it and get a kindle!! Nice to read my daughter’s favourite books though. One down, 9 more to read. 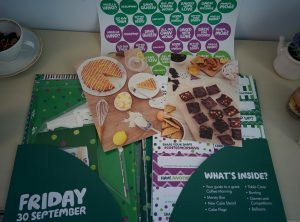 Challenge No 8 – Host a MacMillan Tea Party – always wanted to do this and it will be great to hold it for charity. Have signed up for the coffee morning – just got to arrange and bake. Challenge No 10 – Sign up and run the Great South Run. Well, I am signed up but having a problem with the training especially when my alarm doesn’t go off! It is in just under 7 weeks away so hopefully going to buy myself some new trainers and lose some weight. I am not sure if I can run the 10 miles but the advert says you can walk if you want. Hopefully I can do it. Challenge No 29 – Start and complete a new sewing project – I am sew enjoying this! 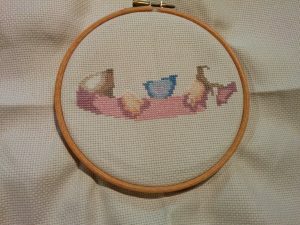 I am hoping to have this finished long before my challenge comes to an end. I think that there are certain people who are doubtful I will – I will show them. Challenge No 49 – Make blog – well this is something I am enjoying so much. I am hoping that as time goes on, I will get better at my blog posts but I am having fun learning! So at the end of 3 months, I think I am on target. As the evenings get darker, I will hopefully start to do some of the language challenges and lots of the cooking challenges. I am loving doing these challenges – not reading so much but finding so much to do that time just whizzes by. It is also helping me be a bit more organised. I really don’t have time to work though!